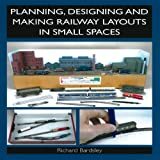 Richard Bardsley has a huge experience in Planning, Designing and Making Railway Layouts in Small Spaces. He is an experienced small-layout builder in both N and OO gauge, and in this book he shares some of his extensive experience. The model railway beginner will often feel constricted and frustrated when he only has a very limited amount of space available, and Richard gives some great advice on how to make the most of what you have got. He demonstrates that a railway modeller need never be ‘stuck for space’, and shows the reader how to design and construct a rewarding layout in even the smallest of spaces. He emphasizes that once you have found a home for your layout, be it in a garden shed, a spare room, a bookcase or even the top of an ironing board, the same guiding principles apply. These are all fully explained in a very practical way and include the basic layout shapes, the importance of scale, standard and narrow gauges, fiddle yards, train length, curves and turnouts as well as track design elements such as head shunts, kickback sidings and run-round loops. Richard is a great advocate for N gauge, and as a result N gets a good amount of coverage in the book, which makes a refreshing change. The book is definitely aimed at the beginner, to whom it is highly recommended by this reviewer. The advice given while thorough is confined to the basic principles of planning design and construction, and there is a fair bit of basic design theory. The advanced modeller will find little that is new, and I’d direct him towards the more sophisticated works by Iain Rice and Paul A Lunn, or the excellent Model Railway Planning and Design Handbook. I particularly appreciate that the book is available in Kindle format, and even on basic Kindle devices the pictures are very clear and helpful. 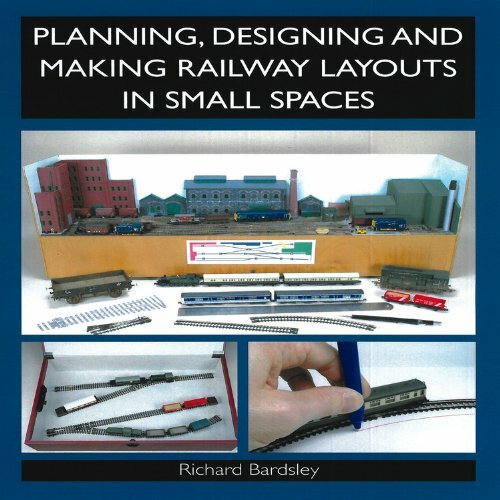 Richard Bardsley has written over fifty articles in the model railway press, many of which have dealt with designing and planning small-space layouts. For over twelve years Richard has been the editor of the bimonthly N Gauge Society Journal, as well as being a member of the Society’s management committee. He demonstrates and promotes N gauge model railways at shows and also designs and produces his own N gauge wagons kits.